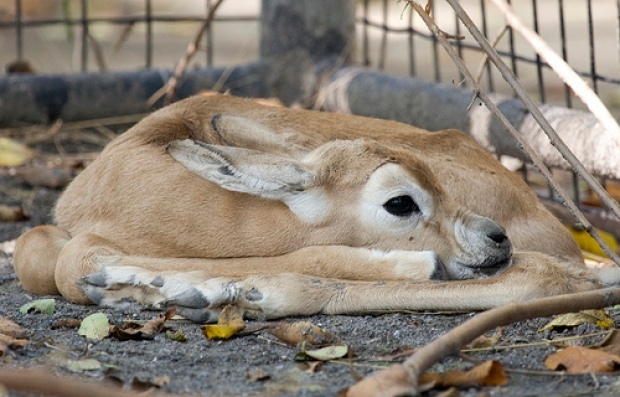 A pair of dama gazelles are proud parents to a new baby girl who was born Friday, Oct. 2. The calf kiddo weighed 11 pounds at birth. Reps from the National Zoo report: "Zoo keepers have observed the calf nursing, grooming and galloping -- all good signs pointing to good health!" Yeah, just try to imagine an 11-pound baby gazelle "galloping" and not instantaneously devolve into a melted puddle of squealing. You can't see the sweet bebeh yet, as she's off-exhibit with her mama Adara and big sister Fahima, who's almost a year old. Dad Rajih is taking some time off from the family and is chillin' with the scimitar-horned oryx. The dama gazelle population is listed as critically endangered by the International Union for Conservation of Nature and Natural Resources. 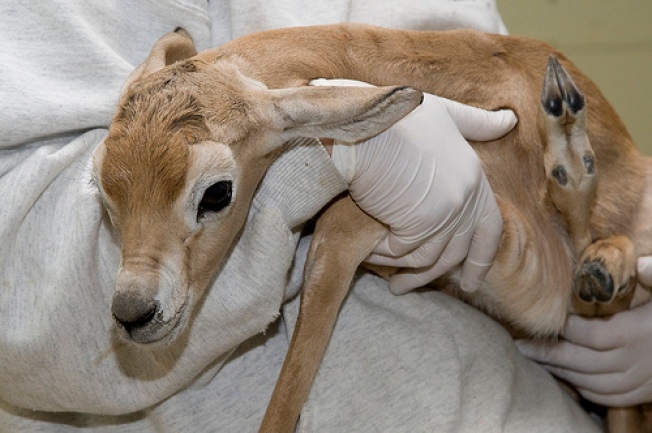 The Species Survival Plan is currently managing 120 dama gazelles in the United States.